The children’s charity Kids Company is being investigated by officers from the Metropolitan Police child abuse and sexual exploitation team. It is understood that the investigation relates to allegations made by a former employee to BBC Newsnight and BuzzFeed News. Earlier this month, BBC Newsnight and BuzzFeed News conducted a joint investigation into the running of the charity, which provides emotional and educational support to vulnerable children and young people. BBC Newsnight and BuzzFeed News obtained the testimony of three former employees who raised concerns about serious incidents at two of the charity's sites, which they say were not passed on to the police or social services, according to the BBC News website. The allegations spanned five years and relate to a small number of incidents, according to the BBC. Two of these former employees were later interviewed by the police and the London Borough of Southwark social services department, the BBC says. 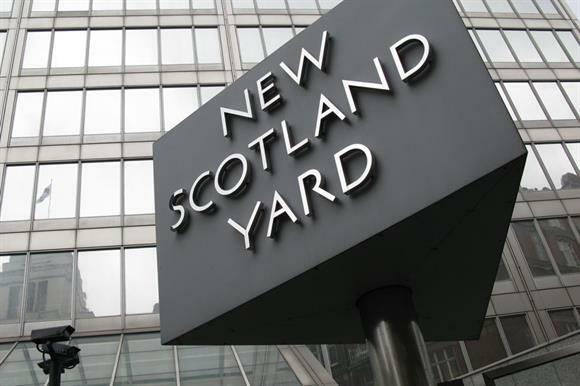 The Metropolitan Police said in a statement yesterday that it had started an investigation into a number of allegations of crime involving a children's charity. The investigation is being led by officers from its sexual offences, exploitation and child abuse command. A spokeswoman for Kids Company said in a statement that it was co-operating fully with the police over what it understands to be "historical but serious allegations", but said it had no further substantive information to date. She said that the charity operates robust policies and procedures that ensure all its clients are protected and that staff work safely with clients at all times. She said: "All allegations of criminal behaviour regarding Kids Company employees and clients are immediately reported to the police. The safety, security and well-being of the children, young people and adults we support is our first priority and it is this imperative that will guide our response to the allegations once further information has been disclosed to us by the police." Earlier this month, the charity said that Camila Batmanghelidjh, its founder, would step down as chief executive amid claims that the government would give further funding to the charity only if she was replaced. It said she will move to the role of president and "continue to play a central role in the future development of Kids Company." The charity later announced that it had appointed a "restructuring specialist", added four people to its trustee board and said that it intends to have a new chief executive in place by the end of October. Batmanghelidjh has led the charity, which provides support to vulnerable children, young people and families in Bristol, Liverpool and London, since setting it up in 1996.